Now that you have completed your coursework and have graduated CNA school with pride and confidence, you may be excited to begin your career by applying your new skills and working in a variety of medical settings. Whether you would like to work in a nursing home environment, an assisted-living facility or home, and adult day care, a hospice center, a medical office or a hospital, you must first ace your interview. Aside from the traditional questions most employers ask during an interview, you should prepare to answer some situational questions based solely on the experiences you can expect to encounter while working as a CNA. An employer may want to know how you would handle caring for a disgruntled or special-needs patient, and they may also ask how you would handle disagreements with a coworker about patient care when in a clinical setting. If you are new to the field, you may want to highlight your education and background, awards and merits and confidently demonstrate your knowledge of basic healthcare and common nursing practices. Here is a sampling of some common CNA interview questions you should expect to answer, as well as appropriate responses, during the interview process. 1.) Why Do You Want To Work In This Career Field? When a potential employer asks this question, they are gauging your ability to handle the stressful and taxing medical field environment. You want to confidently convey that you acknowledge that the job has demanding hours, is high stress, demands flexibility and that you are physically and emotionally strong enough to handle all of the duties of the job. It helps if you interject a personal story about your journey to become a CNA, and you should reinforce your strong desire to help people through your patience and interpersonal skills. 2.) What Personal Qualities Or Skills Do You Possess That Will Set You Apart From Other Candidates? A potential employer will want you to express that you are a team player with a solid basic background in medical terms, nursing policies and patient-care procedures and professional protocol. If you have previous experience in the medical field, you may want to provide a specific example of when you went above and beyond the call of duty, used your keen sense of observation to intervene before a patient’s condition declined or brought concerning details to the attention of a nurse supervisor. If you have any awards, merits, honors or certifications, you will want also to share these accolades with your interviewer. 3.) What Would You Do If You Saw A Fellow Staffer Speak Disrespectfully To An Unhappy Patient? The best way to answer this question is to demonstrate that you take patient care and advocacy very seriously. You would want to express that you would report your coworker to a supervisor immediately. A CNA is responsible for maintaining composure and professionalism at all times whether interfacing with coworkers, supervisors, residents, patients or the friends and family members of the patient. If a CNA loses composure and lashes out at a disgruntled, confused, uncomfortable or angry patient, it can quickly cause the situation to escalate. Reporting your coworker would be the only acceptable solution in this type of situation, and you must make that clear to the person interviewing you. This can also be an opportunity to transition into how you have previously handled situations where a patient was unhappy or difficult to work. Any steps you may have taken in the past to defuse a tense situation, calm down a patient, or efficiently perform your work with a patient who is uncooperative would all be great stories to tell during your interview. 4.) What Are Your Future Goals? This is a common question a potential employer may ask because many people with a CNA certification go on to become medical assistants or nurses. If you are asked this question, you should answer that you are looking to gain invaluable industry experience and look forward to contributing to the mission of the hiring institution. You should express that you desire the opportunity to hone and refine your skills and establish yourself within the medical field and with patients, residents and fellow staffers. If you do have an interest in going back to school to obtain your medical assisting certification or nursing license, you will want to refrain from mentioning this during the interview process. If you mention your desire to further your education and move on to a different position, you paint yourself as a short-term employee in the eyes of the interviewer. 5.) Have You Ever Experienced A Specific Situation Or Time When You Did Not Get Along With A Fellow Nurse? How Did You Handle The Disagreement? While this question has a negative connotation, a good CNA candidate will know how to professionally navigate around the turmoil or negativity. You will want to provide an answer that reflects how you maintained a calm and peaceful disposition, you offered multiple viable solutions for tackling the problem or situation, you listened to the nurse with empathy and understanding and you asked open-ended questions to understand more about your coworker’s intent and how to solve the problem. If you have not worked as a CNA previously, you will want to share this with the interviewer and offer an alternative scenario that involved a disagreement with a coworker on the job. 6.) Tell Me A Time When You Had To Take Charge At Work When All Other Employees Were Busy With Other Tasks? 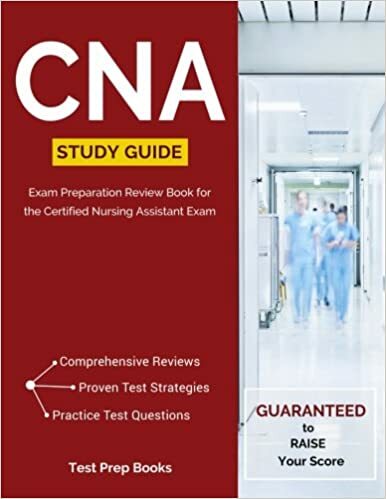 To answer this question effectively, you will want to highlight your unique strengths as they pertain to CNA tasks. Focus on outlining your ability to take initiative while also following protocol and procedures. You can discuss how you delegated responsibilities and divided your time between patients and pending duties effectively. You would also want to mention how your leadership and ability to work under pressure made a difference in your previous environment. 7.) What Keeps You Motivated While On The Job? While a potential employer will want you to enjoy helping others, most are looking for a more specific type of answer; staying motivated in a very high-stress environment that is very demanding is not easy. Your answer should be specific and highlight your best traits personally and as a CNA. The interviewer should be able to hear the passion in your answer, and you should include points that showcase how you thrive in a diverse, fast-paced and supportive environment that makes you feel proud to serve others in such a selfless and uplifting manner. 8.) How Do You Feel About Your Last Boss? This answer may seem obvious, but you want to refrain from speaking negatively about a previous employer even if the experience was not pleasant. Focus on the positive attributes of your former boss, how effectively he or she managed their employees and the ways that he or she positively encouraged communication, unity, and professionalism among staff members. This question offers a great opportunity to put your former boss in a bright spotlight. You can dote on his or her achievements in the industry, and you can discuss how their new ideas, policies, and procedures made a difference on the job. When you cite specific examples of how your boss made a positive impact on your career, you highlight your ability to transition with change easily and pick up on positive attributes that will make you a future leader in your field. As a CNA, you have the ability to change lives every day. If you approach your interview in a prepared and confident manner, you will surely land the job and begin a new and exciting career in the medical field. Most employers are not looking for perfect responses. They simply want to see that you understand the demands of this field, you are confident in your skill set and you demonstrate an ability to be a team player with lots of patience.